Macro Berri Reds is an all-natural fruit/berry multi-vitamin drink with a taste kids love! Delicious is the new nutritious! No wheat grass, alfalfa, oat, kamut, rye, no soil-based organisms, kelp, bee pollen, garlic, onion, MSG, GMO’s, yeast, egg, artificial coloring, alcohol, preservatives, starch, maltodextrin, wheat, gluten, corn, stabilizers, pesticides, herbicides or dairy animal products. 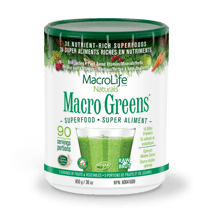 WHAT ARE THE BENEFITS OF USING Macro Berri Reds? Macro Berri Reds is an all-natural fruit/berry flavored multi-vitamin drink mix with a taste kids love! Delicious is the new nutritious! No common allergens or other harsh ingredients. No wheat grass, alfalfa, oat, kamut, rye. No soil based organisms, kelp, bee pollen, garlic, onion, MSG, OR GMO’s. NO yeast, egg, artificial coloring, alcohol, preservatives, flavoring, salt, starch, maltodextrin. FREE OF wheat, gluten, corn, stabilizers, pesticides, herbicides or dairy animal products. Kids of all ages LOVE the amazing taste of this Multi-Vitamin, Multi-Mineral Blend with 19 Organic Super Fruits and Berries. Delicious is the new nutritious! No common allergens or other harsh ingredients. No wheat grass, alfalfa, oat, kamut, rye, or soil based organisms. NO kelp, bee pollen, garlic, onion, MSG, GMO’s, yeast, egg, artificial coloring, or alcohol. FREE OF preservatives, flavoring, salt, starch, maltodextrin, wheat, gluten, corn, stabilizers, pesticides, herbicides or dairy animal products. Multi-Vitamin, Multi-Mineral Blend with 19 Organic Super Fruits and Berries. Here’s a list of some of the Macro Berri Reds Ingredients. The entire nutritional/supplement facts table follows. Acai is a rare fruit found deep in the Amazon Rainforest. A concentrated source of anthocyanins (red-blue phenol properties) and 30 times more effective than that of red wine. Naturally high ORAC (Oxygen, free Radical, Absorbance, Capacity) value. Is a rich source of antioxidant nutrients such as carotenes, vitamin C, B vitamins, folate, and pantothenic acid (B-3 B-6). Papaya contains the enzyme, papain, which aids digestion. Himalayan Mountain Goji Berries contain amino acids and more (non-heme/bio-available vegetarian) iron than spinach.